To meet efficiencies products must be tracked, identified, stored and shipped effectively. We can provide you with customised software that in addition to giving you the ability to produce on-demand customisable labels, incorporates real-time production recording and automation systems that can identify and track your products through your production chain. Up to date information from your database can be utilised with customised software and in conjunction with inline scanning equipment to give you the ability to have real-time production data at your fingertips. ALS Labelling Solutions has specifically developed software to ensure you can print the labels you need, whenever you need them. 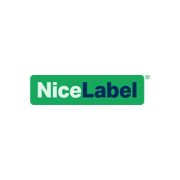 Software that supports modern identification standards, all contemporary barcodes, checksum calculations and supports unicode, making label design simple and more efficient. Label layouts are highly customisable and you can combine text, paragraphs, barcodes and graphics as required, working with fixed or variable values. The database assistant allows you to create and edit databases simplifying the process of importing and maintaining data. Whether you’re working with a stand-alone system or network.